Content Management vs. Content Services: What’s the Difference? Since Gartner Inc. declared that Enterprise Content Management (ECM) was dead in early 2017, the popularity of content services has increased. Though ECM is supposedly dead, some organizations still make use of ECM solutions, while others shifted to content services. The two terms are used interchangeably at times because the difference between them is still a bit murky. 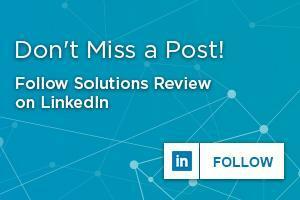 However, there is, in fact, a difference between ECM and content services. ECM began as a means to merge the capabilities of different types of content repositories together. These included enterprise document management (EDM), web content management (WCM), and digital asset management (DAM). 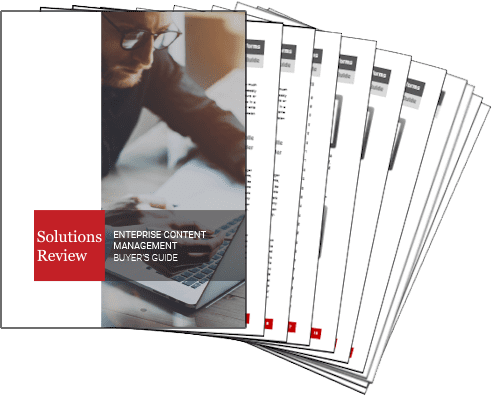 ECM showed that the content supported by these platforms shared common business requirements, and provided a single platform for all the content they included. However, documents, web pages, and rich media began to be used differently over time. For this reason, it became more difficult to manage content from a single platform, as the differences between their use cases were too drastic. At this point, the meaning of ECM started to shift. While ECM still offered a single platform for all the documents in a company, ECM became more about standard principles. The focus shifted to creating an enterprise approach to managing content, regardless of where and how it was stored. However, Gartner found that it was almost impossible to achieve all four of these goals through the use of a single platform, and therefore declared the death of ECM. Enter content services. The content services approach is focused more on strategy than technology. This method combines the up and coming technology of the future with the reality of what is currently happening in the digital enterprise. Many organizations need multiple repositories rather than just one, making content services a better option for some. Gartner defines content services as “a set of services and microservices, embodied either as an integrated product suite or as separate applications that share common APIs and repositories, to exploit diverse content types and to serve multiple constituencies and numerous use cases across an organization.” In other words, content services are meant to solve multiple business process issues with multiple integrated solutions throughout an organization. The difference between ECM and content services boils down to a centralized approach versus a more universal one. The goal of ECM is to accomplish a range of operational goals through the use of a single centralized platform. On the other side, content services are meant to improve efficiency by relying on multiple strategies and tools. 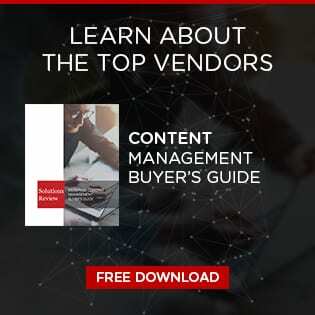 Content services have less of a focus on content storage for the enterprise, and instead, focus on how the content is used by individuals and teams and uses that information to gain insight into business operations. Gartner’s choice to redefine what is relevant speaks to a shift in the way businesses use content, internally and externally. ECM is a means of converting paper documents into electronic information and sharing that information to employees. But today, digital organizations are in need of more holistic services. There is a need for platforms that can compile content across multiple repositories in order to connect dissimilar applications. While ECM is still a valid way to handle content, it can be limited by its centralized platform. The use of multiple tools in content services allows for a more strategic approach to solving business process problems. In the end, the most effective solution hinges on how dependent an organization is on varying kinds of digital content. Previous Previous post: OpenText Acquires Liaison Technologies, Inc.
Next Next post: CMS and DAM Systems: What’s the Difference?